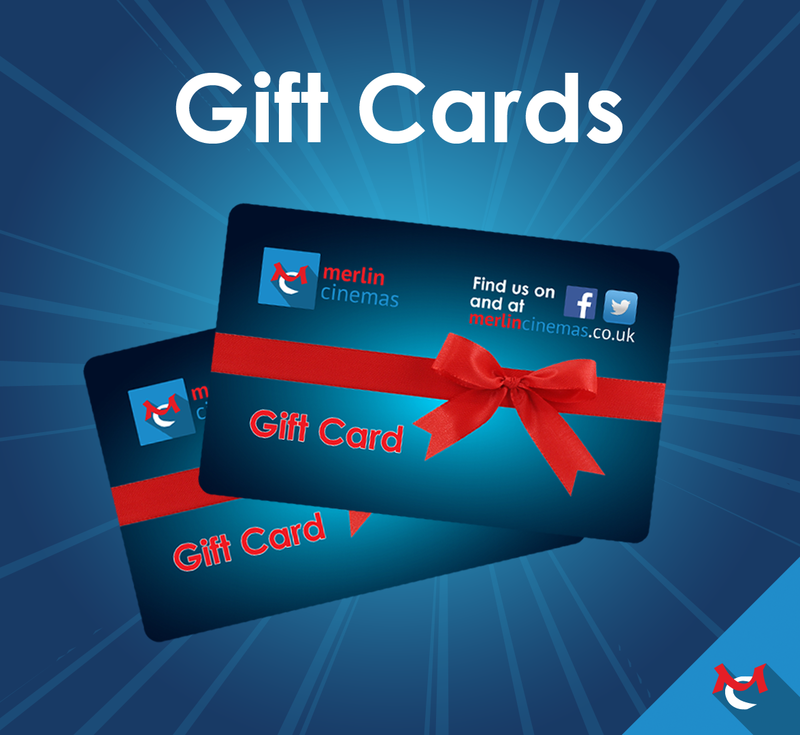 At Merlin Cinemas we take your privacy very seriously, we take great care in keeping any information we may collect secure and preventing any unauthorised access or unlawful use of it. Merlin Cinemas reserves the right to review and amend these terms at its discretion. We collect information about you when you purchase your tickets, gift card or Movie Magic discount card, either online our directly with our box offices, as well as all subsequent transactions made using your discount. Some website usage information is also collected using cookies, please see below. If you are purchasing online, we will require an email address in order to send you confirmation of your booking or receipt of your Movie Magic discount card. We may also ask for optional details such as email address, which can be used to contact you in the future with information about your membership and other offers if you choose to opt-in to this communication. We collect information about you to process your order, manage your bookings and or membership and, if you agree, to email you about other products and services we think may be of interest to you. If you join or renew the Movie Magic membership we will collect the information we need to open, administer and run your account and to deal with any enquiries you may have about it. We will also collect transaction data to help improve our services. 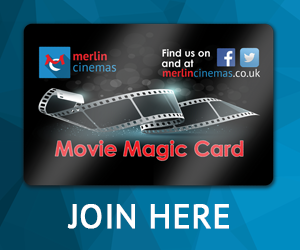 Merlin Cinemas use trusted third parties to assist with the running of our box office and other services, but we do not share your data otherwise beyond this. We would like to send you information about our film line-up, products, offers and services of ours which may be of interest to you. To recieve this communication you will need to subscribe to our email list. If you are a Movie Magic Discount cardholder you can achieve this by creating a Movie Magic Account here. 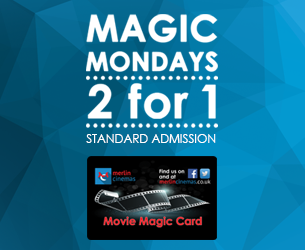 If you are not a Movie Magic Discount cardholder you can sign up here. If you have consented to receive marketing emails, you may update your preferences or opt-out at a later date. You have the right to stop us from contacting you for marketing purposes at any time. If you no longer wish to be contacted for marketing purposes, please click here. You have the right to request a copy of the information that we hold about you. If you would like a copy of some or all of your personal information, please email or write to us at the address listed below. We want to make sure that your personal information is accurate and up to date. You may ask us to correct or remove information you think is inaccurate. For Movie Magic Discount cardholders you can access and amend your transaction and personal data here. In addition to the information we collect as described in this policy, we use technology to collect anonymous information about the use of our website. For example, we use technology to track which pages of our website our visitors view. We also use technology to determine which browsers our visitors use. This technology does not identify you personally, it simply enables us to compile statistics about our visitors and their use of our website. Our website contains hyperlinks to other pages on our website. We use technology to track how often these links are used and which pages on our website our visitors choose to view. 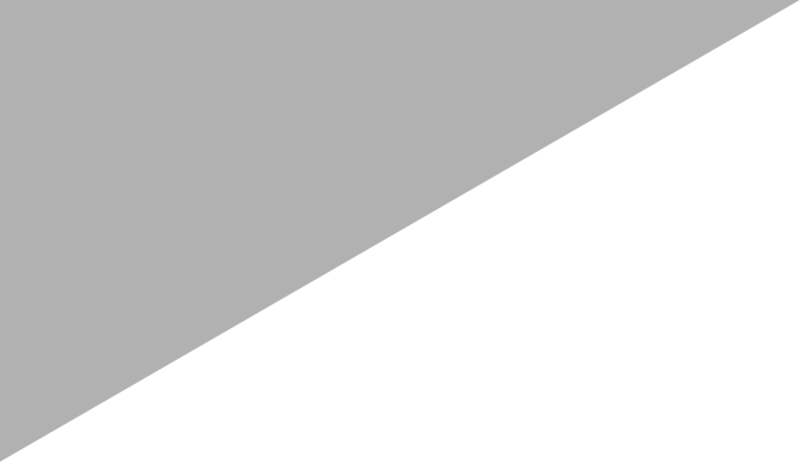 Again this technology does not identify you personally, it simply enables us to compile statistics about the use of these hyperlinks. We use this anonymous data to improve the content and functionality of this website.